We will now learn how to say what you want either by just coming out and saying it or by making discreet suggestions. The major topics we will cover will be the 「たい」 conjugation and the volitional form. We will also learn specialized uses of the 「たら」 and 「ば」 conditionals to offer advice. You can express verbs that you want to perform with the 「たい」 form. All you need to do is add 「たい」 to the stem of the verb. However, unlike most conjugations we learned where the verb turns into a ru-verb, this form actually transforms the verb into an i-adjective (notice how 「たい」 conveniently ends in 「い」). This makes sense because the conjugated form is a description of something that you want to do. Once you have the 「たい」 form, you can then conjugate it the same as you would any other i-adjective. However, the 「たい」 form is different from regular i-adjectives because it is derived from a verb. Particles we normally associate with verbs such as 「を」、「に」、「へ」、or 「で」 can all be used with the 「たい」 form in addition to the particles commonly used with regular adjectives such as 「は」 and 「が」. You don’t want to eat cake? I didn’t want to eat it but I became wanting to eat. Example 4 was very awkward to translate but is quite simple in Japanese if you refer to the section about using 「なる」 with i-adjectives”. The past tense of the verb 「なる」 was used to create “became want to eat”. Here’s a tongue twister using the negative 「～たくない」 and past-tense of 「なる」： 「食べたくなくなった」 meaning “became not wanting to eat”. Also, you can only use the 「たい」 form for the first-person because you cannot read other people’s mind to see what they want to do. For referring to anyone beside yourself, it is normal to use expressions such as, “I think he wants to…” or “She said that she wants to…” We will learn how to say such expressions in a later lesson. Of course, if you’re asking a question, you can just use the 「たい」 form because you’re not presuming to know anything. Do you want to play with dog? Though not a set rule, whenever words come attached to the te-form of a verb to serve a special grammatical function, it is customary to write it in hiragana. This is because kanji is already used for the verb and the attached word becomes part of that verb. I want a big stuffed doll! It is that I want the room cleaned up, you know. Like I mentioned, there are more appropriate ways to ask for things which we won’t go into until later. This grammar is not used too often but is included for completeness. The term volitional here means a will to do something. In other words, the volitional form indicates that someone is setting out to do something. In the most common example, this simply translates into the English “let’s” or “shall we?” but we’ll also see how this form can be used to express an effort to do something in a lesson further along. To conjugate verbs into the volitional form for casual speech, there are two different rules for ru-verbs and u-verbs. For ru-verbs, you simply remove the 「る」 and add 「よう」. For u-verbs, you replace the / u / vowel sound with the / o / vowel sound and add 「う」. Here is a list of verbs you should be used to seeing by now. I doubt you will ever use 「死のう」 (let’s die) but I left it in for completeness. Here are some more realistic examples. Let’s go to theme park! What shall (we) eat tomorrow? Remember, since you’re setting out to do something, it doesn’t make sense to have this verb in the past tense. Therefore, there is only one tense and if you were to replace 「明日」 in the third example with, let’s say, 「昨日」 then the sentence would make no sense. The conjugation for the polite form is even simpler. All you have to do is add 「～ましょう」 to the stem of the verb. Similar to the masu-form, verbs in this form must always come at the end of the sentence. In fact, all polite endings must always come at the end and nowhere else as we’ve already seen. Again, there’s nothing new here, just the polite version of the volitional form. You can make suggestions by using the 「ば」 or 「たら」 conditional and adding 「どう」. This literally means, “If you do [X], how is it?” In English, this would become, “How about doing [X]?” Grammatically, there’s nothing new here but it is a commonly used set phrase. How about going to bank? How about talking with your parents once in a while? In life, there are things that we must or must not do whether it’s taking out the trash or doing our homework. We will cover how to say this in Japanese because it is a useful expression and it also ties in well with the previous section. We will also learn how to the say the expression, “You don’t have to…” to finish off this section. If you’re not familiar with the word 「だめ」（駄目）, though it can be used in many different ways it essentially means “no good”. The other two key words in this section are 「いけない」 and 「ならない」 and they have essentially the same basic meaning as 「だめ」. However, while 「いけない」 can be used by itself, 「ならない」 must only be used in the grammar presented here. In addition, while 「いけない」 and 「ならない」 conjugate like i-adjectives they are not actual adjectives. Let’s learn how to use these words to express things that must not be done. 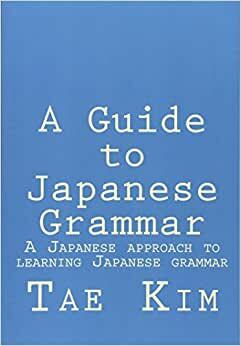 Take the te-form of the verb, add the 「は」 (wa) particle and finally attach either 「だめ」、「いけない」、or 「ならない」. You must not enter here. You can’t (must not) eat that! You must not use the phone until late at night. Wasn’t allowed to sleep early. The difference between 「だめ」、「いけない」、and 「ならない」 is that, first of all, 「だめ」 is casual. While 「いけない」 and 「ならない」 are basically identical, 「ならない」 is generally more for things that apply to more than one person like rules and policies. You may have predicted that the opposite of “You must not do” would use 「いける」 or 「なる」 because they look like the positive version of 「いけない」 and 「ならない」. However, 「いけない」 and 「ならない」 must always be negative, so this is not correct. In actuality, we still use the same 「だめ／いけない／ならない」 and use the opposite of the verb that goes in front of it instead. This double negative can be kind of confusing at first but you will get used to it with practice. There are three ways to conjugate the verb before adding 「だめ／いけない／ならない」 and two of them involve conditionals so aren’t you glad that you just learned conditionals in the previous section? The first method is the same as the “must not do” grammar form except that we simply negated the verb. Must go to school everyday. The second method uses the natural conditional that we learned in the last lesson. Literally, it means if you don’t do something, then it automatically leads to the fact that it is no good. (In other words, you must do it.) However, people tend to use it for situations beyond the natural consequence characterization that we learned from the last section because it’s shorter and easier to use than the other two types of grammar. The third method is similar to the second except that it uses a different type of conditional as explained in the last lesson. With the 「ば」 conditional, it can be used for a wider range of situations. Note that since the verb is always negative, for the 「ば」 conditional, we will always be removing the last 「い」 and adding 「ければ」. It may seem like I just breezed through a whole lot of material because there are three grammar forms and 「だめ／いけない／ならない」 adding up to nine possible combinations (3×3). However, some combinations are more common than others but I did not explicitly point out which were more common because any combination is technically correct and going over style would merely confuse at this point. Also, keep in mind that there is nothing essentially new in terms of conjugation rules. We already covered conditionals in the last lesson and adding the wa particle to the te-form in the beginning of this section. Although we spent the last section explaining 「～なければ」 and 「～なくては」, the reality is that because they are so long, they are practically never used in real conversations. While they are often used in a written context, in actual speech, people usually use the 「と」 conditional or the various shortcuts described below. In casual speech, the 「と」 conditional is the most prevalent type of conditional. Though I explained in depth the meaning associated with the 「と」 conditional, you have to take it with a grain of salt here because people are inherently lazy. You may have been grumbling and complaining about how long most of the expressions are just to say you must do something. You can end up with up to eight additional syllables just to say “I have to…”! Well, others have thought the same before and people usually use short abbreviated versions of 「なくては」 and 「なければ」 in casual speech. Teachers are often reluctant to teach these overly familiar expressions because they are so much easier to use which is bad for times when they might not be appropriate. But, on the other hand, if you don’t learn casual expressions, it makes it difficult to understand your friends (or would-be friends if you only knew how to speak less stiffly!). So here they are but take care to properly practice the longer forms so that you will be able to use them for the appropriate occasions. Right now, you may be saying, “What the?” because the “abbreviations” are about the same length as what we’ve already covered. The secret here is that, unlike the expressions we learned so far, you can just leave the 「だめ／いけない／ならない」 part out altogether! There is another 「ちゃ」 abbreviation for things that you must not do. However, in this case, you cannot leave out 「だめ／いけない／ならない」. Since this is a casual abbreviation, 「だめ」 is used in most cases. One very important difference for this casual form is that verbs that end in 「む」、「ぶ」、「ぬ」 use 「じゃ」 instead of 「ちゃ」. Essentially, all the verbs that end in 「んだ」 for past tense fall in this category. 死んじゃだめだよ！ – You can’t die! On a final note, in general, 「ちゃ」 sounds a bit cutesy or girly. You’ve already seen an example of this with the 「ちゃん」 suffix. Similarly, 「なくちゃ」 also sounds a bit cutesy or childish. Now let’s learn how to say either that it’s ok to do or not do something. I decided to shove this section in here because in Japanese, this is essential how to say that you don’t have to something (by saying it’s ok to not do it). The grammar itself is also relatively easy to pick up and makes for a short section. By simply using the te-form and the 「も」 particle, you are essentially saying, “even if you do X…” Common words that come after this include 「いい」, 「大丈夫」, or 「構わない」. Some examples will come in handy. In casual speech, 「～てもいい」 sometimes get shortened to just 「～ていい」 （or 「～でいい」 instead of 「～でもいい」 ）. Can I go home already? Can I take a quick look at this?